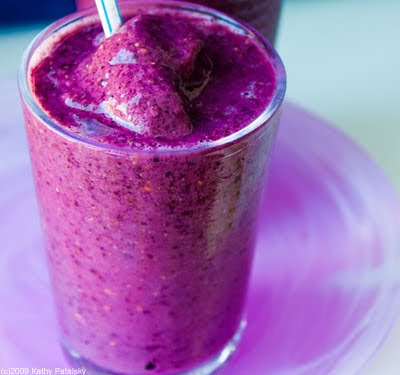 MTV VMA Detox Smoothie: Razzle Dazzle Me. 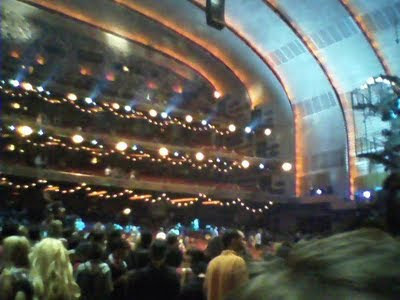 Last night I was lucky enough to be at the MTV Video Music Awards at Radio City Music Hall in NYC. Needless to say, it was awesome. I was in the standing-room only "fan pit" up front. Because, yes I like to have a little fun here in New York City. 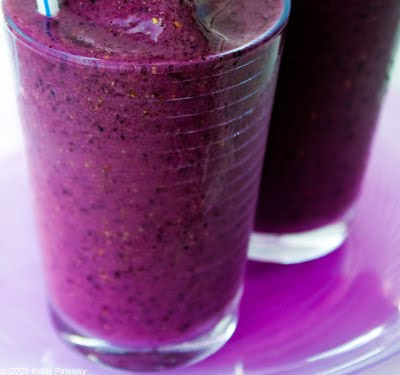 Razzle Dazzle Ingredients. 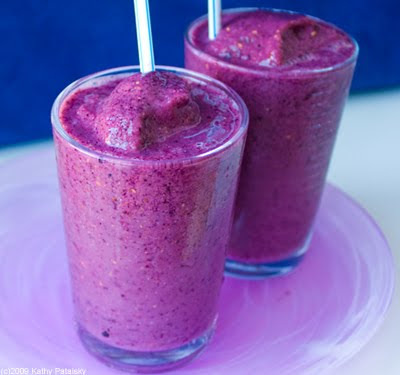 This smoothie is awesome! 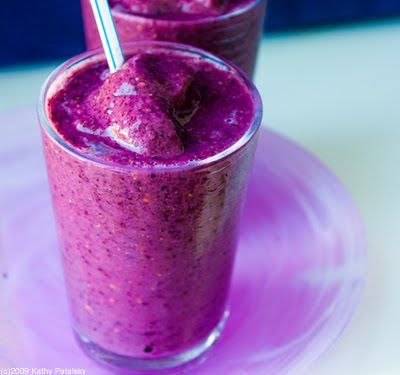 The dash of cayenne gives it a spicy accent that intensifies the flavors of all the rest of the ingredients which include: sweet-tart raspberries, antioxidant-rich wild blueberries, tangy apple cider vinegar, smooth soy milk, sweet acai juice, nutty flax seed meal and of course icy coconut water ice cubes. 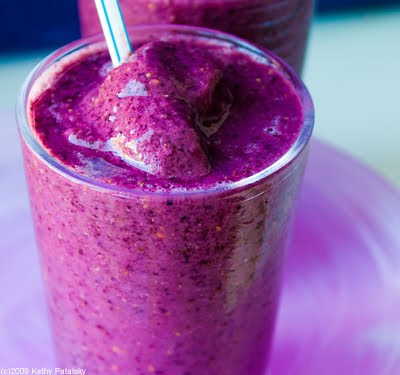 Directions: Place all ingredients in your blender and blend until smooth! 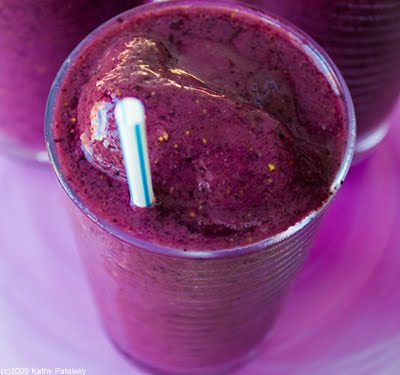 If you need any PRO smoothie tips: see them here! 2. Boo-ing Kanye after his mean gesture to Taylor. 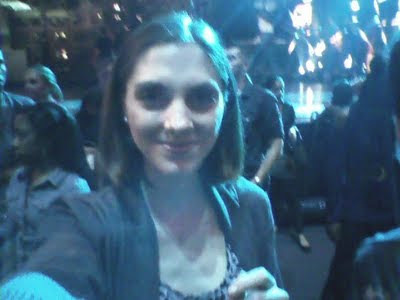 Then cheering for Taylor and Beyonce (after Beyonce's kind gesture). State of Mind. Jay-Z and Alicia Key closing the show with Empire State of Mind. 4. Janet "dancing" with Michael "on screen". 5. Dancing on stage with Green Day. 6. Falling down in laughter as I tried to safely jump off the stage in heels, post Green Day. 7. Lady GaGa's many outfits and creepy-cool Paparazzi performance. 8. Pink's High Flying act. 9. Muse's LIVE on Broadway.